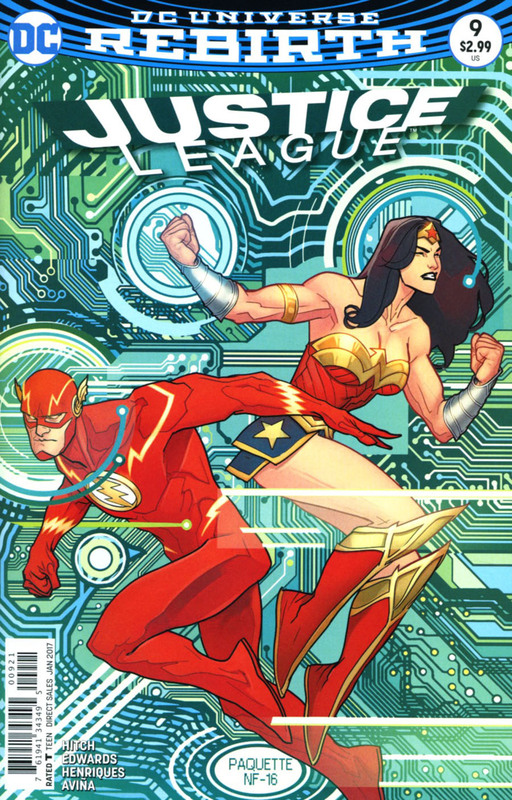 A disgruntled hacker, known as Jesse James, has beset the Justice League terminal problems, as he blames the League for the death of his wife. 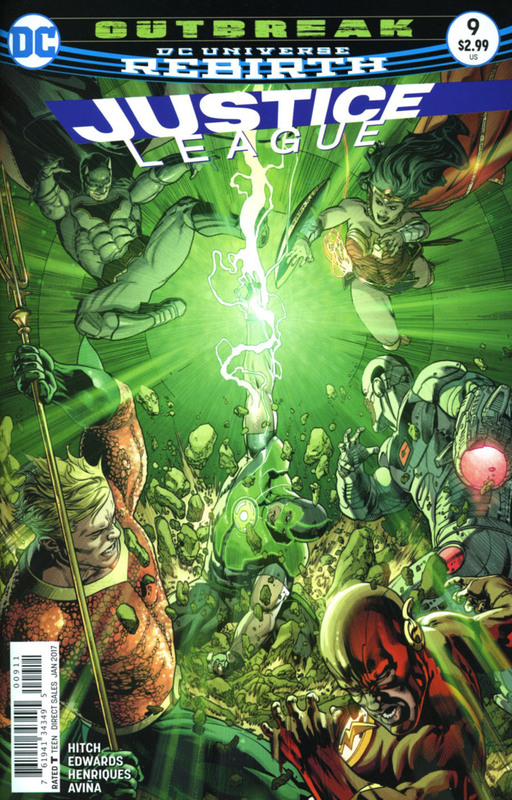 Batman is able to find the location of Jesse James, while Cyborg and the League handle Green Lantern's ring gone awry. Story - 3: The problem was presented last issue, and was solved in the next, neatly and nicely... with little entertainment value for the reader. The last two issues have read like Silver Age stories, inasmuch it speeds through Freytag's Pyramid like a man rushing for the last train. However, those same Silver Age stories were greatly condensed, providing much structure, content, and directive, despite the speed they were driven with. Justice League, under Hitch, lacks the aforesaid qualities, and is also lacking in the entertainment quotient. The last two tales are throwaway issues, in a series that was just renewed less than six months ago. Many of the Rebirth titles have benefitted from the new start, but Justice League has not been one of them. It does seem that while the new start has invigorated Hitch's ideas about the League, the schedule is sapping that vigor because of the constraints a bi-weekly schedule demands. The other thing of note is that Superman wasn't in this issue and I did not miss him one bit. That's probably the best way to go about it with the Man of Tomorrow on this League. Art - 4: There are some really nice splashes this month: Flash running, Green Lantern regaining control of his ring. The attention to detail is very good, and makes for some sweet visuals. Cover Art - 4: The covers get better. The story? Not so much.